Let The Signworks be your number one vendor for all your label and decal needs for electrical, solar, plumbing, etc! Fast and economical - reflective and non-reflective - vinyl or engraved! The Signworks is a FULL SERVICE** sign company serving the San Francisco Bay Area that is dedicated to help you plan, design, manufacture and install effective signage that will shape the way the world perceives and interacts with your company! We have been providing top quality signs and related services since 1991. Our professional staff in San Carlos California uses state of the art equipment on which to design & manufacture Signage That Works For YOU! We work throughout the greater Bay Area from San Francisco, all throughout San Mateo County including Burlingame, San Mateo, Belmont, Redwood City, Palo Alto, Menlo Park and throughout many areas of the south bay from Sunnyvale to San Jose! **We hold both a C16/D42 non-electric sign installation contractor's license as well as a C45 electrical sign installation contractor's license #1015149. Click HERE to meet out staff! 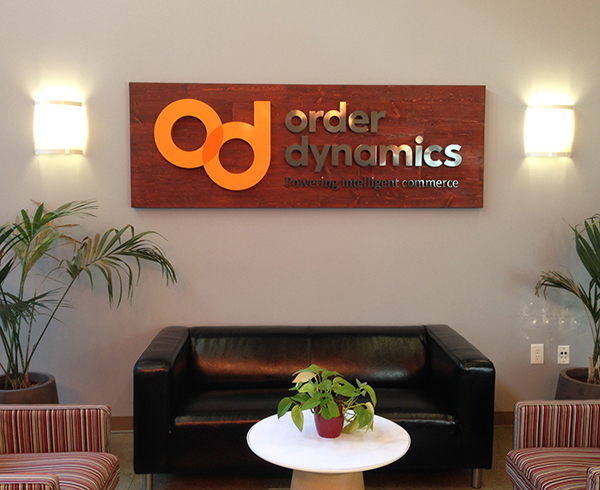 Browse through our PRODUCT GALLERY to find a sign design that is right for you! But don't limit yourself to just the gallery, our team will work with you to create magic! We can update your look from the old style signs as seen above on our home page video to new and exciting, eye catching designs. Click HERE to view our current promotions! Take advantage of these monthly discounts! To request an estimate, get help with a project, or download a pdf version of our brochure, visit our PRODUCTS & SERVICES area. Click HERE to view services we offer as well as download a very interesting paper regarding how on-premise business signage will help you establish value in the marketplace! An easy-to-use pull down menu, search engine, and link to our contact form appear on each page. As well, feel free to go to the SEARCH TAB at any time if you're having trouble locating a particular item. If there's anything we can do to improve our site, please let us know. Are you interested in a career with The Signworks? Click HERE for employment opportunities!